Huxlo create self-assembly timber buildings, designed online using 3D software. 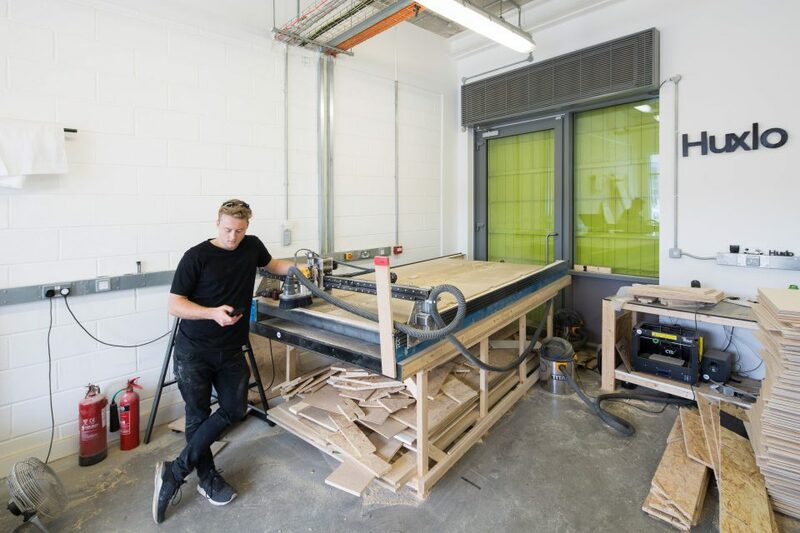 Everything is cut by Matt’s self-made CNC machine and then shipped to the customer, who assembles it like flat-pack furniture. The unit smells like fresh sawdust, and when we walk in he is busy cutting a prototype standing desk. Matt, how did Huxlo come about? 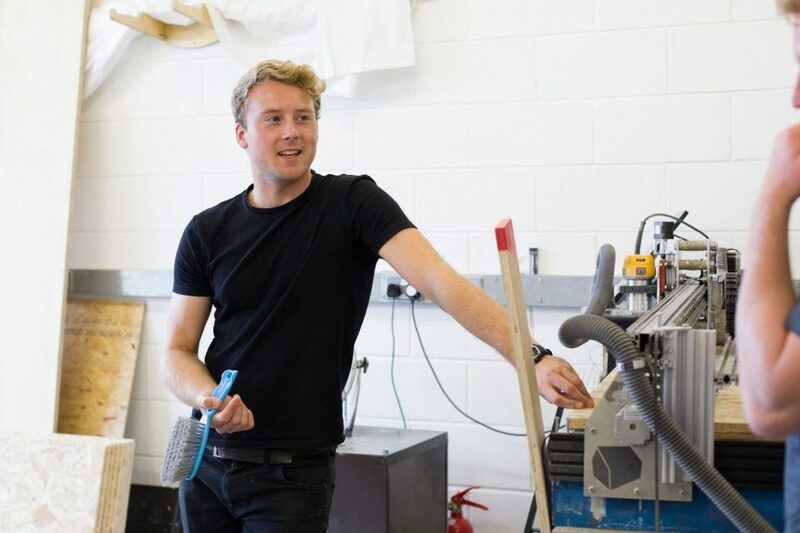 I studied Engineering Design at the University of Bristol and have always been interested in product design. During my final year I came up with the concept of creating flat-pack, modular, timber buildings for the general market. I went through some entrepreneur competitions and won a bit of grant money, which gave me the confidence to take the leap and start Huxlo. 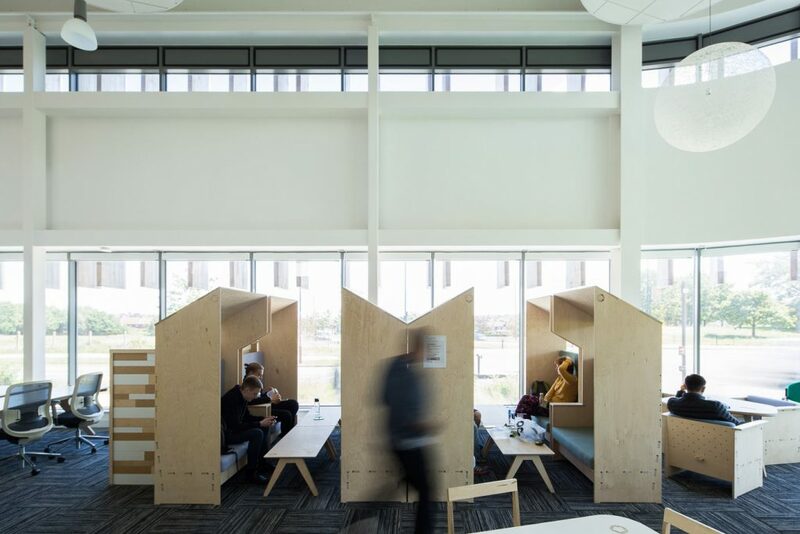 I was still a student when I was looking for premises, but Filwood liked the sustainable aspect to my business, reserved me a space and here I am. Using the grant money, I built and coded the CNC machine myself, so now, with my background in product design and having the workshop space, I can design and manufacture prototypes right here. Has Filwood helped you develop your business? 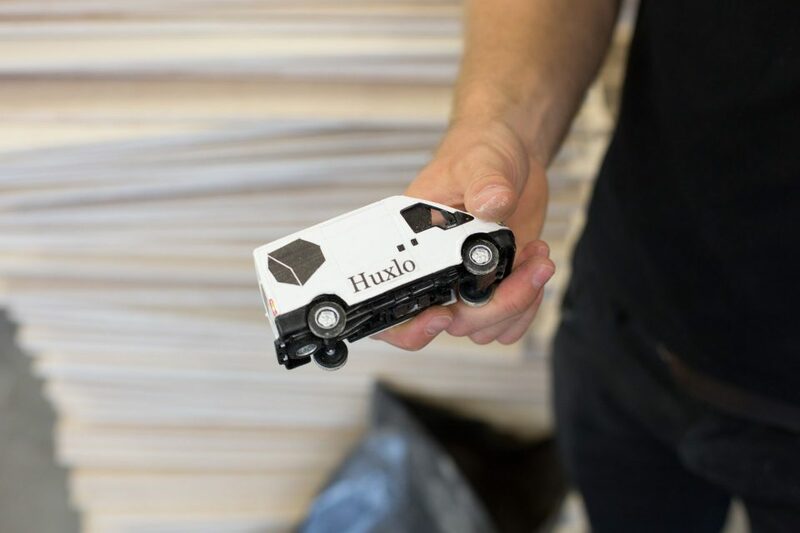 I started Huxlo as a business that just produced modular buildings, but with the skills and resources I’ve now got, I’ve been able to expand into furniture. My first big commission was in summer 2016 when the University of Bristol wanted desks and chairs for a new department. I spent about a month building the CNC machine, then created the CAD models, prototyped, and then another month building 70 chairs and 22 tables ready for September before the students came back. I never thought I’d be making an entire department’s furniture for my first gig. It almost killed me! I’ve now developed a USP all about creating functional, high quality products, and being able to design and test them right here at Filwood. Exciting. What else have you got coming up? I’m currently working on manufacturing bike racks with Temple Cycles – I actually cut some out as I was waiting for you guys to arrive. They’re another business here at Filwood. I knew Matt a bit from university and cycling, so it was a bit of luck that they have set up here too. I created the prototype, took it over the courtyard to them and they helped me develop it into a better product. It took a bit of refining, but it’s now for sale on Amazon. And there’s one on their wall! Have you noticed anything unique about Filwood? The people in the other units are great fun and they will help you if you need it, it’s great to have so many different skills together under one roof. People passing through will often provide some business too. I’ve built a tool station for somebody’s workshop and used to have friends in an office unit upstairs. They used to come down and use my workshop, and I would use their office; it’s a really cooperative space. We even have a communal area which I used for my interns last year. It was really easy to get set up in there to do some quick admin stuff. Just before we go, where does the name Huxlo come from? It kind of came from Sir Aldous Huxley, the Brave New World author, who talks about a dystopian future of people being like robots. With modular, it’s a bit like a robotic system. Also, UX is central to the business, so that works nicely. "I want a massive head carved out of polystyrene." "People come in and say 'Oh you're the furniture guys, can you help us with this?'" "It's more ‘Bristol-ey’ than other business parks"
"I like how it is a dog-friendly environment and I can bring my child in." "People meet every Thursday for coffee and that's how we met our accountants, solicitors and recycling suppliers." "The business is more associated with craft rather than actual dentistry,"
"It's a healthy place to be; instead of car fumes you get bird songs and clean air."